On the grounds that it wants to protect the privacy of convicted Boston Marathon bomber Dzhokhar Tsarnaev, the Department of Justice (DOJ) has stymied attempts by WhoWhatWhy to find out if Tsarnaev is still being held under Special Administrative Measures (SAMs). SAMs are a repressive type of confinement that severely limits a prisoner’s ability to communicate with anybody outside of his or her prison cell. DOJ claimed that without Tsarnaev’s consent, revealing such information about the prisoner’s status “could reasonably be expected to constitute an unwarranted invasion of [his] personal privacy.” This was in response to a Freedom of Information Act request filed by WhoWhatWhy, seeking updated details of Tsarnaev’s confinement. As WhoWhatWhy previously noted, SAMs were established in 1996 to prevent presumably dangerous inmates — those accused of terrorism, espionage, mob or gang activity — from communicating to the outside plans that could result in death or bodily harm. This form of gag order was originally imposed only by a judge. Since 9/11, the US attorney general has the power to unilaterally decide which prisoners merit this repressive confinement regime. While it is the attorney general who approves the SAMs, the initial impetus for gagging the prisoner typically comes from a federal law enforcement or intelligence agency — in this case, the FBI. Tsarnaev was placed on SAMs August 2013; such orders must be renewed every 120 days. Given the legal rationale for SAMs, the government’s determination to keep Tsarnaev incommunicado seems self-contradictory, since the FBI has repeatedly maintained that Dzhokhar and his brother Tamerlan (who was killed in a police shoot-out) were not connected to any wider conspiracy. Hence, by the government’s own admission, no confederates remain “out there” to whom Dzhokhar could transmit terror instructions. The attorney general’s denial of our request, citing Tsarnaev’s “personal privacy,”seemed a little strange. But what happened next was downright Kafkaesque. So now the Bureau of Prisons (which is part of the Department of Justice) was acknowledging what the DOJ earlier said it could not reveal without violating the inmate’s privacy. With this acknowledgment of the SAMs in hand, WhoWhatWhy filed an administrative appeal through FOIA with Attorney General Loretta E. Lynch. In that appeal, we made the case that since the Bureau of Prisons (BOP) had already confirmed the existence of the SAMs, the public’s interest in understanding why it was necessary to curtail an American citizen’s First Amendment right to free speech outweighs any nominal concern Tsarnaev may (or may not) have about his privacy. For one thing, if Tsarnaev was allowed to exercise that right to free speech, he would be able to actually tell us how he feels about his privacy. It is worth noting that Boston-based US Attorney Carmen Ortiz’s Public Information Officer, Christina DiIorio-Sterling, also confirmed via e-mail the ongoing confinement of Tsarnaev under SAMs. Apparently, the rank-and-file can’t bring themselves to deny the obvious — something that bureaucrats in Washington appear to do as a matter of routine. For rather obvious reasons, we will not be able to secure that signature. Is the government really that concerned about protecting Tsarnaev’s privacy, or is something else going on? A look at how the existence of Tsarnaev’s SAMs became public to begin with helps shed a little light on this question. Back in October 2013, before Dzhokhar Tsarnaev’s murder trial got underway, his lawyers filed a motion challenging the imposition of SAMs on their client. 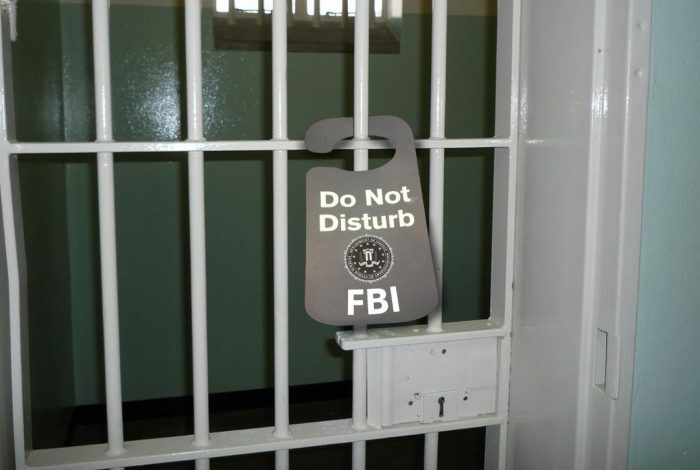 The motion described in great detail the conditions under which Tsarnaev was to be held essentially incommunicado, as well as the justifications offered by the government. If US District Court Judge George O’Toole thought releasing the facts about his confinement conditions would violate Tsarnaev’s privacy, he would presumably have sealed the motion But he did not. Which raises the question: Why does the DOJ think releasing the details of Tsarnaev’s SAMs now is a violation of his privacy? Are they even more draconian now? Has another agency, such as the CIA, asked that Tsarnaev’s communications be restricted to protect some matter of “national security?” We just don’t know. Attorney Bradley P. Moss — who specializes in matters relating to national security, federal employment and security clearance law, and FOIA — challenges the very basis for the government’s use of privacy laws in such a case. By withholding information about the treatment of a prisoner in this well-known case, Moss said, the government is “perverting the purpose” of the privacy protection statute, “which arguably was designed more to protect the privacy of individuals” whose connection to criminal investigations was not public knowledge. Turning this protection of privacy against an individual’s right to be heard in public, if he so wishes, sounds like something out of the bureaucratic nightmares that Franz Kafka presciently warned us against. The author thanks Jill Vaglica who contributed to this article. There are 20 comments Our Comment Policy: Keep it civilized, keep it relevant, keep it clear, keep it short. Please do not post links or promotional material. We reserve the right to edit and to delete comments where necessary.